When writing a biography, there are certain things you can’t avoid, even though you know it has been said many times and you fear it will end up looking like any other biography, with the usual and righteous amount of name droppings. For instance, in order to write Joachim Spieth’s bio, I couldn’t avoid saying that he has released a numerous amount of records, on labels as renowned as Michael Mayer’s Kompakt. And that some of those releases, such as « Under pressure » have been and are still hits. But that being said, what really matters at the end is who he is and what he wants to express by producing music. What he has been giving to the scene. Being a shy character, he is not the type of person searching for the spotlight but someone that is evolving on the scene by pure passion and wants to communicate this passion to the others. 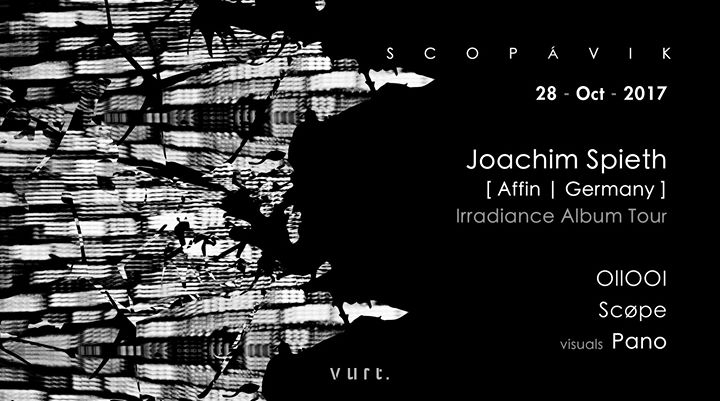 He created his label Affin to be as independent as possible and focus on his own vision, surrounded by artists sharing it with him. What he does not put into words is translated into sounds. Deep, solemn and at times enraged, his productions represents Techno in its purest expression. They are made to occupy our dying cathedrals of concrete, to crush the reality of our everyday life under an assumed individuality. The elaborated basses and the echoing melodies grab our minds to throw them in a far away world, leaving the silence of a doomed society behind. “Yes, now it has been a decade since i started my own label. It pretty much mirrors my state of mind, my emotions, and my personal development.